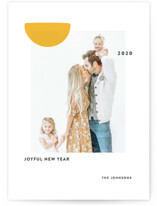 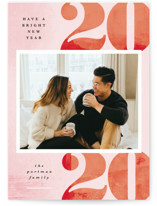 Get ready for 2019 in style with a Minted New Year’s card. 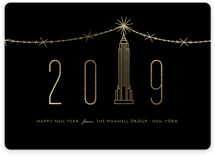 Whether you’re still trying to figure out where 2018 went, or are excited to welcome 2019, start the year off right by sharing New Year’s wishes with friends and family. 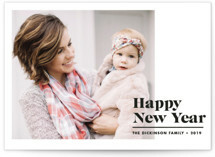 Sending a New Year’s card is the perfect way to alleviate some of the busy holiday stress, since there is no exact rule on when they should arrive to your recipients. 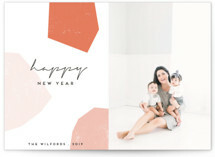 As the holiday season takes off it can be hard to get every item on your to-do list completed, especially when it comes to sending your yearly greeting card. 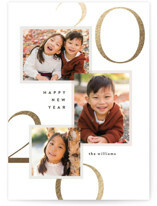 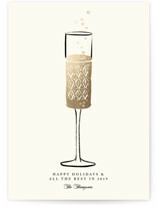 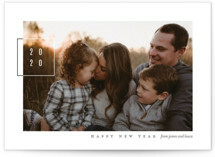 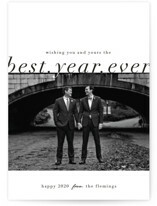 Having trouble creating your perfect New Year card? 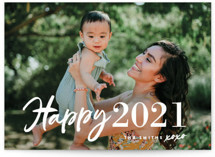 Minted is here to help. 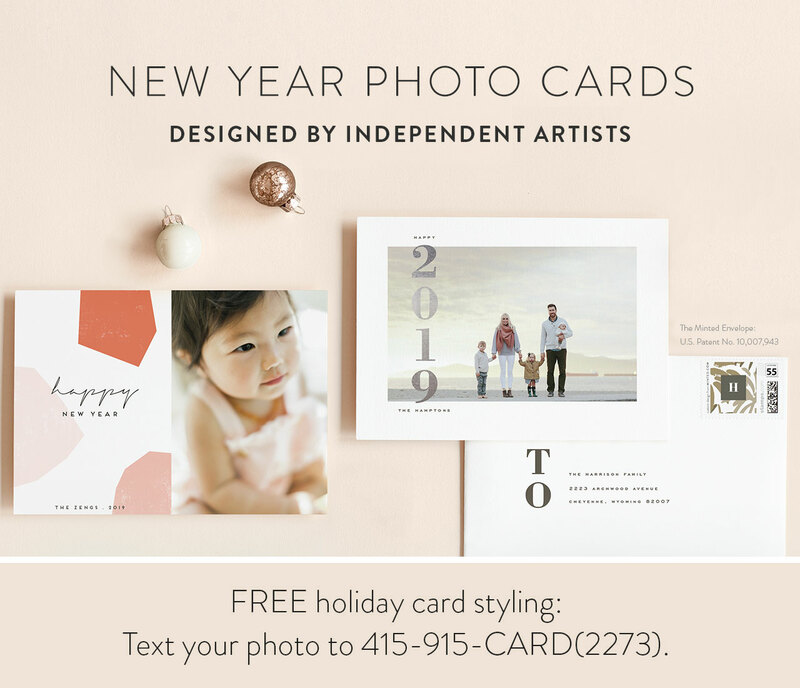 Minted has created a never before seen innovation to make the card styling process easier than ever. 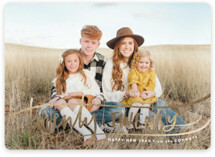 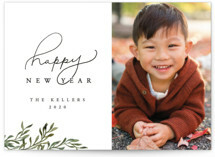 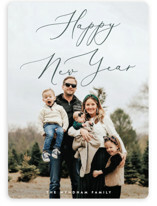 Text Us Your Photo, and share a bit about your New Year’s card vision, and we will send back five styled cards with your photo, greeting, and family name. 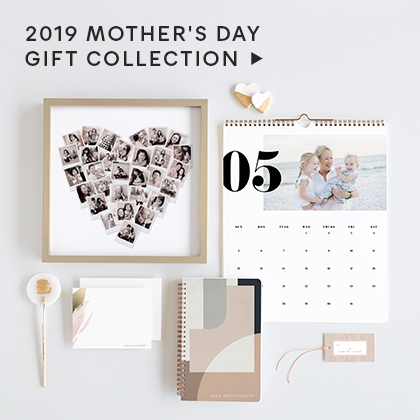 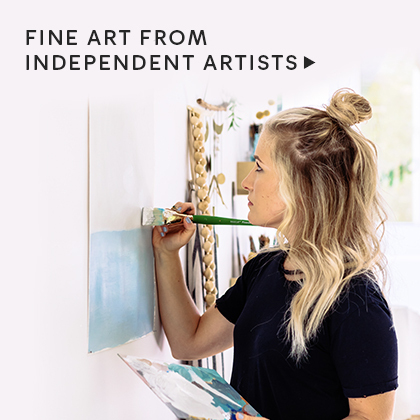 All you have to do is go to your Minted account and purchase your favorite design. 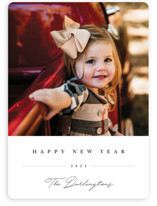 After you have found your New Year’s card template, rest assured everything will be exactly as you envisioned. 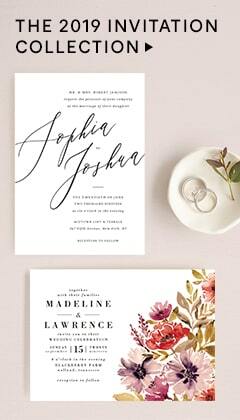 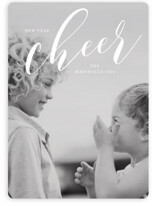 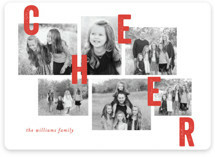 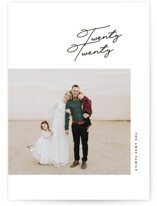 With FREE unlimited proofs from your dedicated Minted designer, nothing will go to print until every detail is perfect. 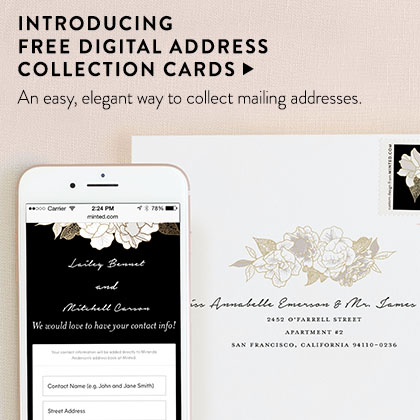 But, don’t forget to add the finishing touches with FREE custom envelopes, and FREE recipient addressing.